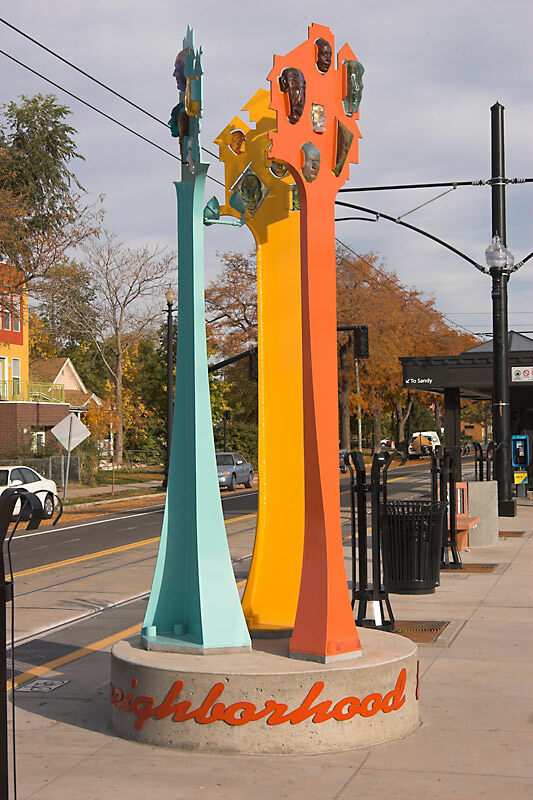 Celebrating the people who make this place a neighborhood, the artists showcased diverse techniques in cast glass to bring color and vitality to this TRAX station. 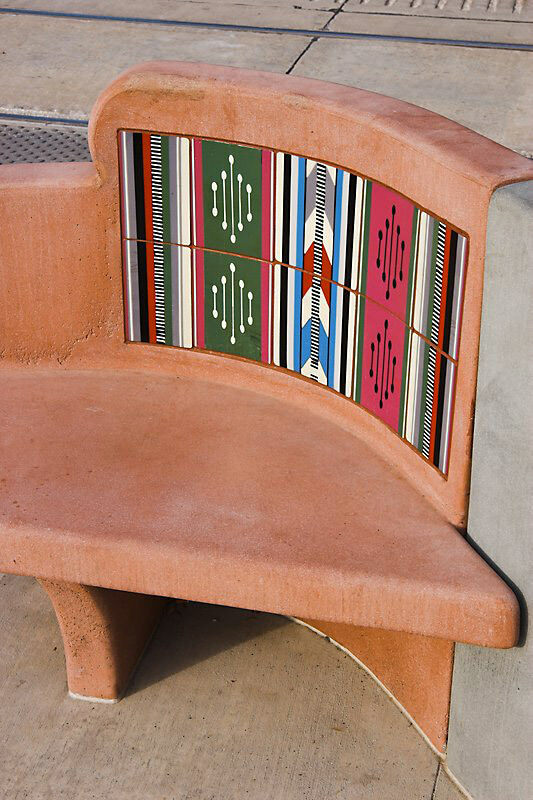 Each of the glass tile patterns inset in the benches represents one of the many ethnic groups in our community and the faces that look out from the colorful towers serve to remind us that we all contribute to the character of the neighborhood. 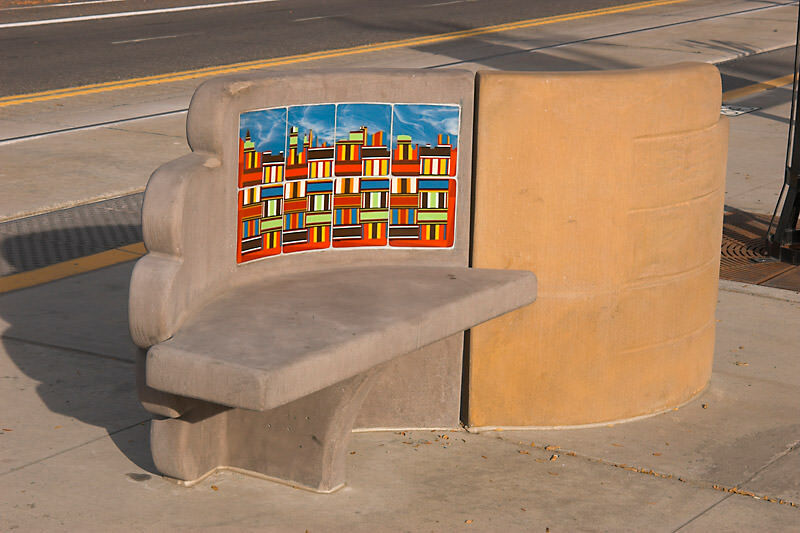 Special thanks to the members of the Glass Arts Guild of Utah for their assistance on this project.